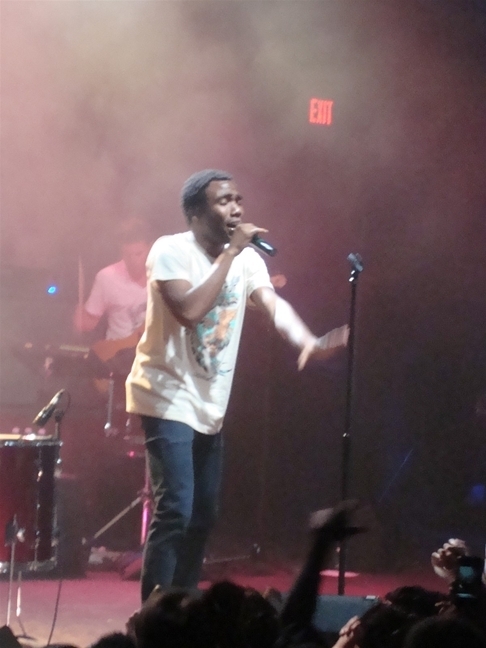 This past weekend, Jeremiah, our friend V. and I went to see Donald Glover/Childish Gambino in concert. 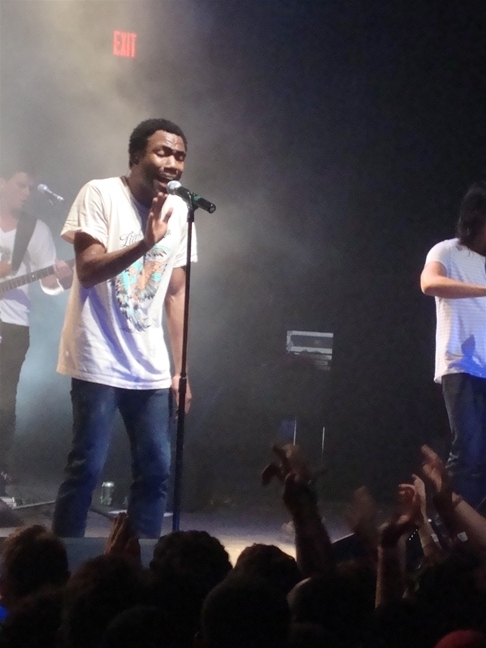 Donald Glover plays Troy on "Community," one of our favorite shows, but he's also a really talented comedian, rapper and writer too (he wrote for Tracy Morgan's character on "30 Rock" before he made the jump to "Community"). 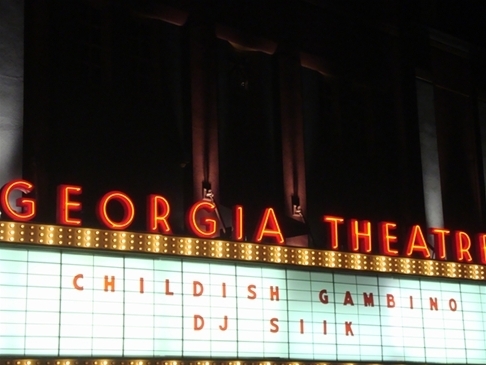 So we were so excited when we found out he'd be in Athens performing under his musician name, Childish Gambino. 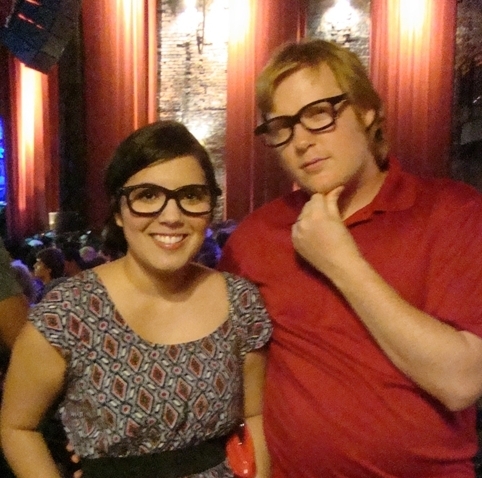 In honor of Donald Glover and his much-rapped-about nerd persona, we wore some 3D glasses (with the lenses popped out). 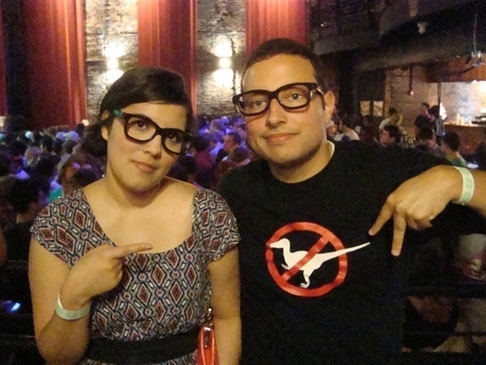 We probably looked super-dorky/annoying to people who actually wear glasses, but it definitely made the concert more entertaining. 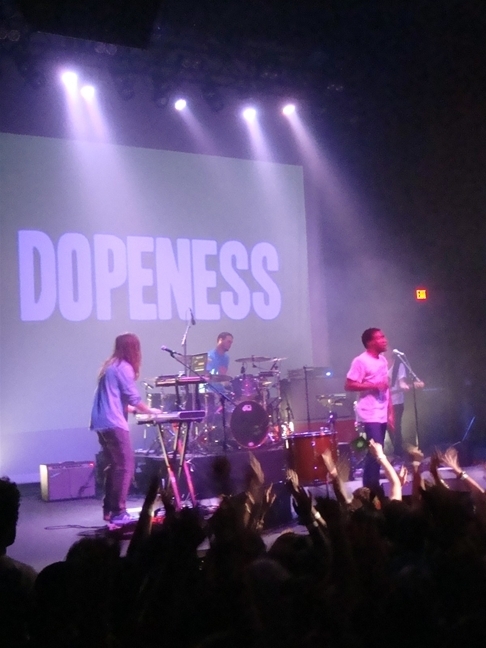 This is the first show I've ever been to at the Georgia Theatre, and it was such an incredible, intimate experience -- I felt like I was jumping up and down and singing with 1,000 of my closest friends. 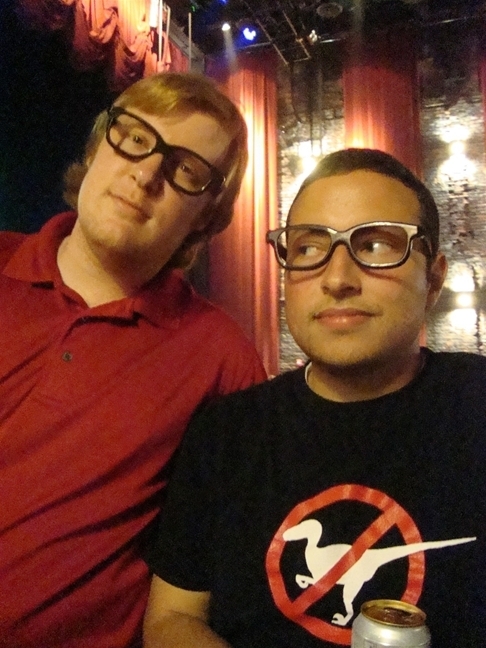 The theatre has been rebuilt after a horrible fire two years ago put it out of commission. I hope to go to more concerts there in the future -- it's a beautiful building as well as a local and historical institution.